It’s difficult to tell the story of the BMW S192 without describing what happened after the car was penned by Nick Wirth back in 1991. 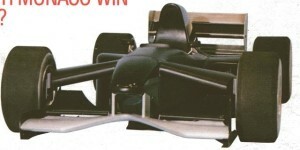 Four years later the car was still in use by Simtek, and it was still being developed. Jos Verstappen showed the Formula One world back then that the Simtek S951 was a fast car by qualifying in 14th place for the Argentinean GP. In the race itself he even drove as high as P6, which if you finished in that position earned you one point back then! But on that occasion gearbox failure ended Jos’ hopes. Note 1: It’s hard to find information about the S192 because it seems no-one is willing to co-operate and share information. Neither BMW, nor Nick Wirth, or anyone else involved in the project. It’s not even clear if the BMW S192 was designed in 1990 or in 1991. Based on the information I have about the BMW S192, I concluded that the car has to have been designed in late 1990/early 1991. Why BMW cancelled its Formula One program and how far the BMW S192 was during this stage is unknown. Note 2: What is still not clear is how and from whom Andrea Sassetti bought the blue prints of the S192. Or did he buy complete cars? The only thing I know is that he bought the Coloni F1 team and renamed it Andrea Moda. The first few races he entered with the C4B what was basically the Coloni C4. 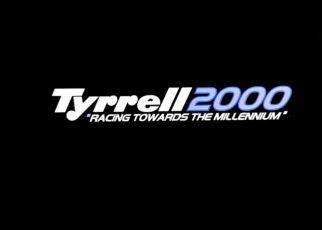 After a couple of races he entered with the Andrea Moda S921. I’m still looking to get in contact with Sassetti and hopefully this will be soon. Note 3: For Spanish readers, I have a document about the launch of the Bravo F1 team. I did have the translation, but due to a hard disk crash I lost it. If you would like it to translate it to English you can find the document on my dropbox. As early as February 1990 the first rumours emerged in the paddock that BMW was planning to enter F1 in the 1991 or 1992 season, though it was hard to have these rumours confirmed at the time. One thing that was certain was that in 1990 BMW had plans to enter Formula One with its own team. Nick Wirth was the designer of the BMW S192 but this wasn’t the first Formula One car that Wirth had worked on – in the 80’s he worked together with Adrian Newey on the March 881. A year later he would design the March-Nissan Le Mans car. For unknown reasons BMW pulled the plug on its Formula One plans during the 1991 season and instead gave Wirth the job of helping to design the BMW M3 E30. At the end of the 1991 season Enzo Coloni left Formula One after another disastrous season for his team as they failed to qualify for a single Grand Prix. 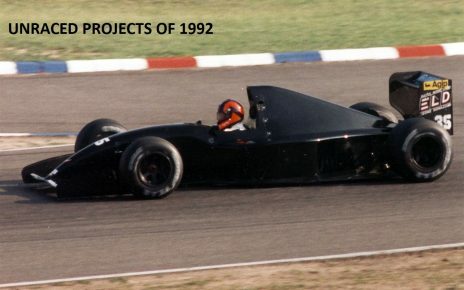 Italian businessman Andrea Sassetti bought the complete Coloni team at the end of 1991 and he started the 1992 season with the C4B, a car that had been slightly updated from the previous year’s Coloni C4. In the meantime Sassetti bought the blueprints to the BMW S192 probably from BMW or Nick Wirth. Later on in 1992 he replaced the C4B cars with the Andrea Moda S921. The new car however was unimpressive and slow. With the unpredictable Sassetti as team manager the situation only got worse, incident after incident hampered the team. During the Italian Grand Prix at Monza, Andrea Moda were refused entry to the paddock and were handed a lifetime ban for bringing the sport into disrepute. 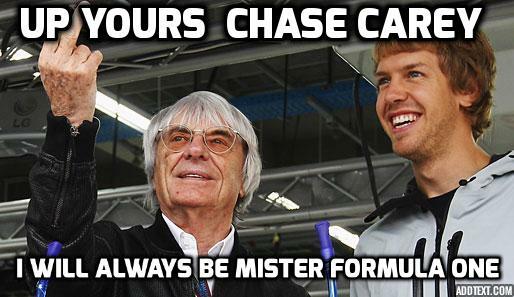 He was even arrested during the Belgian Grand Prix for allegedly forging invoices. Unsurprisingly shortly afterwards the team folded. Later on Sassetti was involved in a shoot out at one of his restaurants. Some say it was an attempt to kill the Italian. Not long after Andrea Moda were banned from Formula One, the BMW S192 design would return to the sport. 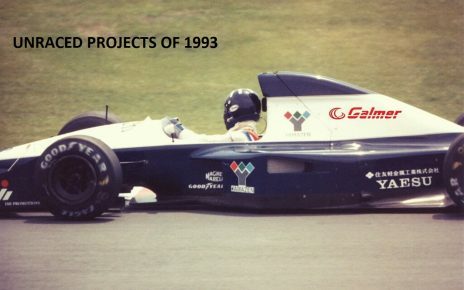 A Spanish team under the lead of Jean-Pierre Mosnier and Adrian Campos, but registered under the British flag, announced that they had plans to enter F1 in 1993. The official team name was Escuderia Bravo F1 España, shortened to Bravo F1. The design of the Bravo S931 started in October/November 1992. It’s hard to comprehend how Jean-Pierre Mosnier and Adrian Campos managed what they did. The team had a budget of US$3,000,000. As an example Andrea Moda had a budget of US$6,000,000. The Bravo team were sponsored mostly by an enthusiastic Spanish businessman, a company named Elmondo and also received backing from the Spanish government. Due to the budget issue the team only had 5 or 6 engineers working on the base for the Bravo S931 which was the previous year’s Andrea Moda S921. 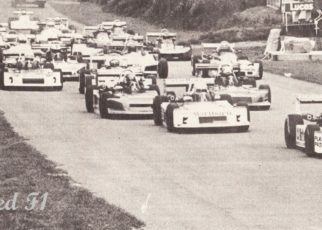 It was soon clear the team would use Judd V8 engines, though the team briefly flirted with using other suppliers including Mugen-Honda, Lamborghini and Hart. In a major setback for the young team, in November 1992 they had to deal with a huge loss. Owner and founder of the Bravo F1 team, Jean-Pierre Mosnier died from cancer at the age of 46. The death of Mosnier affected the design of the Bravo S931 and the solid base the team had was gone. Nonetheless the team kept continuing to design and produce the cars and they were also working on the driver line-up. It was clear the team would only have one car for the 1993 season and there were many candidates for the seat including Nicola Larini, Ivan Arias, Jordi Gené and Luca Badoer. Damon Hill was also named as a potential candidate for the drive because of his family name, with Bravo looking to gain sponsors on the back of it. 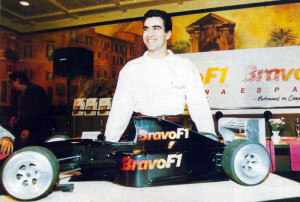 The team presented itself in February 1993 with Jordi Gené announced as driver and a scale model of the Bravo S931 was revealed. The colour scheme of the car would have been a light blue with red lines on it and purple wings. The team also announced during the presentation that it would continue developing the Bravo-Judd S931, and that Gené would test the car later on in 1993 intensively so the team could enter the 1994 season. But the Bravo team was already registered by the FIA as an official entrant for the 1993 season. In the end, during 1993 the team folded due to a simple lack of money and a lack of facilities. An unconfirmed source has said that the FIA had already told the team in December 1992 that the S931, at that time still under development, was a disaster and would be banned by the FIA if it was entered for the 1993 season. They also said the car would never pass the official FIA crash test. If you were to think that the three year old BMW S192 design was outdated then you’d have been wrong. In mid-1993 Nick Wirth announced that he would be entering the 1994 Formula One season with his own team Simtek. During the announcement of the Simtek team, Wirth presented a scale model of the S941 which was in fact a heavily redesigned Bravo S931. Comparing the scale model of the S941 and the actual design the team entered the season with, the scale model was much more futuristic and innovative – in particular the front suspension was different. In 1995 Simtek continued with the original BMW S192 model and even that year the Simtek S951 showed potential. Jos Verstappen almost scored points with the car, and was on some circuits impressively quick with the S951. Sadly, in the face of mounting debts and the loss of sponsors, after the Monaco Grand Prix the Simtek team was shut down. 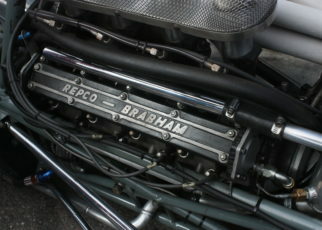 For photo’s of the Bravo S931 see this link. For photo’s of the improved Simtek S931 see this link.